Flying has been man’s fantasy for ages, attempts we made as early as late 1800’s. Otto Lilienthal of Germany was the first one with a successful glider flight in the 1890. In the previous articles for this theme session we have read about the dynamic soaring, gliding. Today I would like to discuss some unusual aerial locomotion techniques in nature. Birds use their wings to generate lift, but, what about those who do not have wings (eg: flying snake) but could benefit from aerial locomotion ? Chrysopelea, or more commonly known as the flying snake belonging to the family Colubridae is one such example. Contrary to what the name suggests, the snake is actually gliding rather that flying. So how does a relatively flat creature with no wings achieve this feat ? 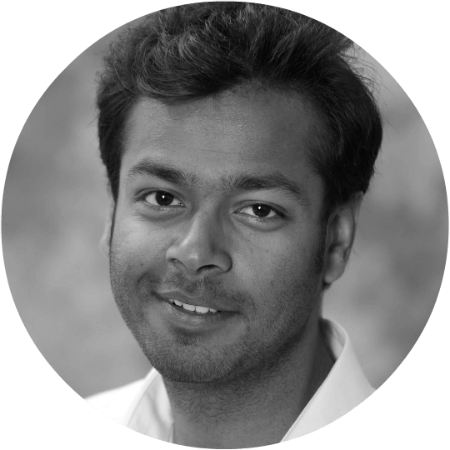 The answer is quite simply increasing the surface area of the body and let the air drag do its magic. To put this in perspective, when you put your hand outside a moving car window, you can feel the air drag on your palm. When you slightly lift the front of your palm, then you can feel the lift being generated. The flying snake uses the same principle. Chrysopelea employ this gliding technique to cover short distances, for example to go from a tree to tree. Another important aspect which the snake uses the curling of its body. This enables it to curl and reach its destination rather than land on a random spot. The flying snake climbs trees using the ridge/scales on its belly, enabling it to move up vertically via pushing against the rough bark of a tree trunk. Once it has reached a sufficient elevation, the snake dangles from the end of the branch and configures its body in a J-shape bend. To select the level of inclination the snake wishes to use to control its gliding path, and also its landing site, it leans forward from the end of the branch. Once the trajectory and the landing site are fixed on the snake propels itself by thrusting its body up and away from the tree, sucking in its abdomen and flaring out its ribs to turn its body into a concave wing. In order to stabilize its decent and land safely, the snake makes continuous serpentine motion of lateral undulation(wave-like movement patterns that act to propel an animal forward) parallel to the ground. In-spite of having no limbs or wings, the flying snake uses a combination of shape, flattening of the abdomen and lateral undulation to glide in the air. The concave wing that the snake creates in flattening itself, flattens its body to up to twice its width from the back of the head to the tail (2). This geometry closely resembles that of a flying disk or a frisbee. The flying disc achieves lift by spining in the air and the cross sectional concavity on the lower side faces an increased air pressure, hence generating a lift, causing the disk to fly. The flying snake creates a similar effect via continuously moves in lateral undulation in order to create an increased air pressure underneath its arched body to glide (2). Figure 2 shows the cross section of the flying snake during flight. In figure 2.c it can be clearly seen that the cross section is very similar to that of a flying disk. The takeoff of the snake is achieved in three different ways, snakes either jump off the branch, dive or simply fall off the branch. The fall exhibits the least kinetically complex behavior, the snake basically hangs by its tail and then releases its grip. Jumps are more complex and are more common in contrast to the fall. The most prevalent observed behavior is the dive or the J-loop takeoff. Figure:3 (A), the snake turns left early in the trajectory, during the ballistic dive. The relative size of the snake decreases as it moves away from the camera. 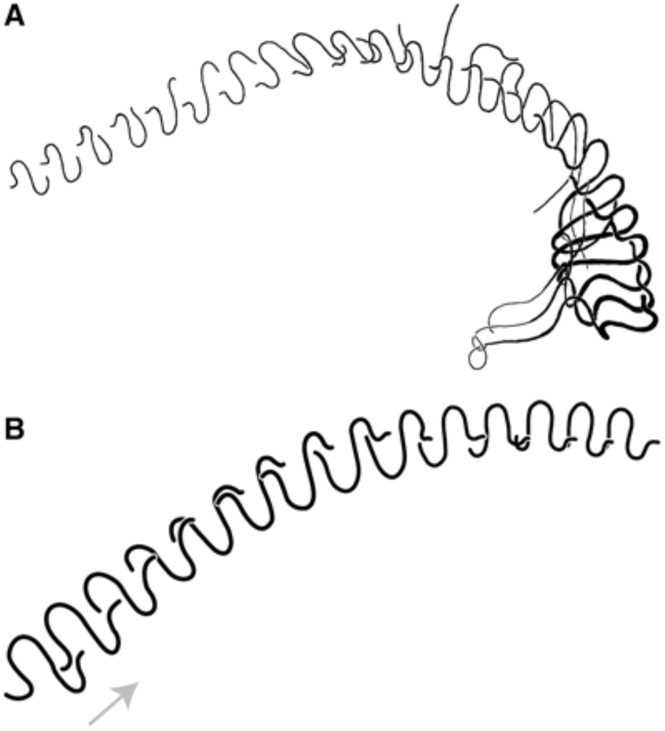 In (B), the snake turns right during the shallowing phase of trajectory, closer to landing. One of the most impressive feats performed by the flying snake is Maneuvering during flight. This is done by the flying snake when the snake responds to sighting an off-axis visual target that came into view as the glide path progressed (3). To put this in perspective in terms of our modern day gliders, to initiate a turn a glider imparts momentum from to one side. In natural gliding creatures like frogs, the position of the webbed foot and thus creates a rotational moment. On the other hand, snakes obviously have no such technique to control turning. One possibility is that the snake uses its rib movements to change the cross-sectional shape of a body segment locally. This in turn results in an altered airflow over this local body segment (3). Additionally, the tail may act as a rudder and direct turns by asymmetrically shedding of vortices achieving a controlled directional change. wikipedia.org. (2017). 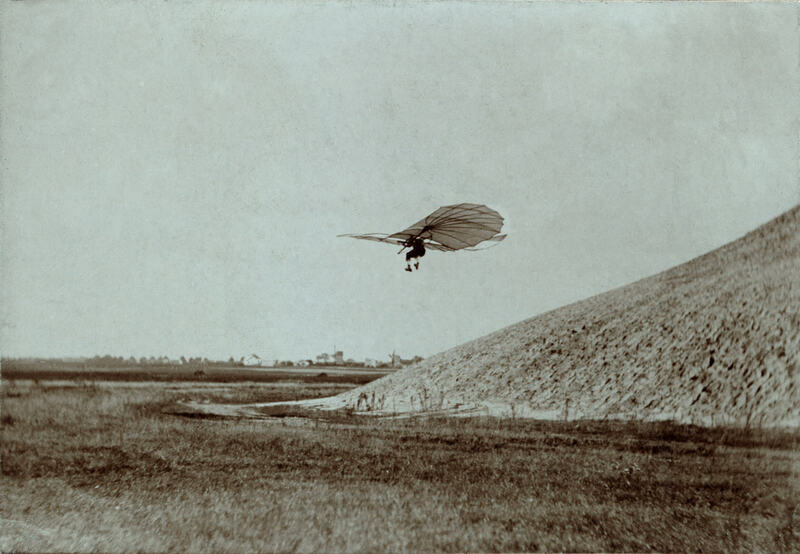 Otto Lilienthal. [online] Available at: https://en.wikipedia.org/wiki/Otto_Lilienthal#/media/File:Otto_Lilienthal_gliding_experiment_ppmsca.02546.jpg [Accessed 1 Dec. 2017]. Jeb.biologists.org. (2017). Cite a Website – Cite This For Me. [online] Available at: http://jeb.biologists.org/content/jexbio/217/3/382.full.pdf [Accessed 1 Dec. 2017]. Socha, J. (2017). Gliding Flight in Chrysopelea: Turning a Snake into a Wing. Holden, Daniel, et al. 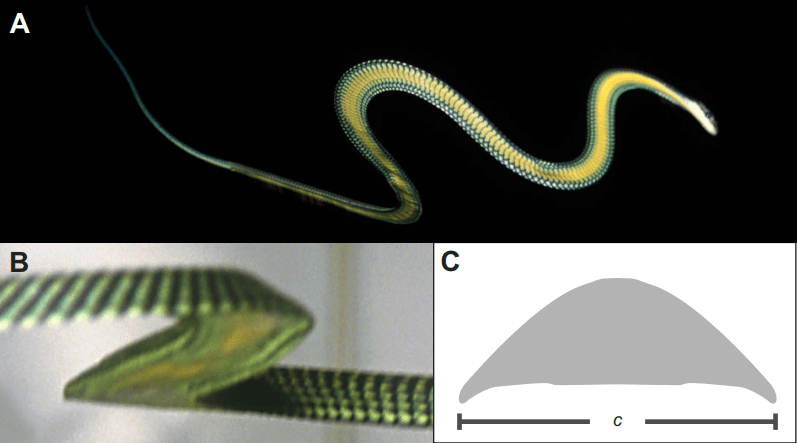 „Aerodynamics of the flying snake Chrysopelea paradisi: how a bluff body cross-sectional shape contributes to gliding performance.“ Journal of Experimental Biology 217.3 (2014): 382-394. Socha, John J. „Becoming airborne without legs: the kinematics of take-off in a flying snake, Chrysopelea paradisi.“ Journal of experimental biology 209.17 (2006): 3358-3369.